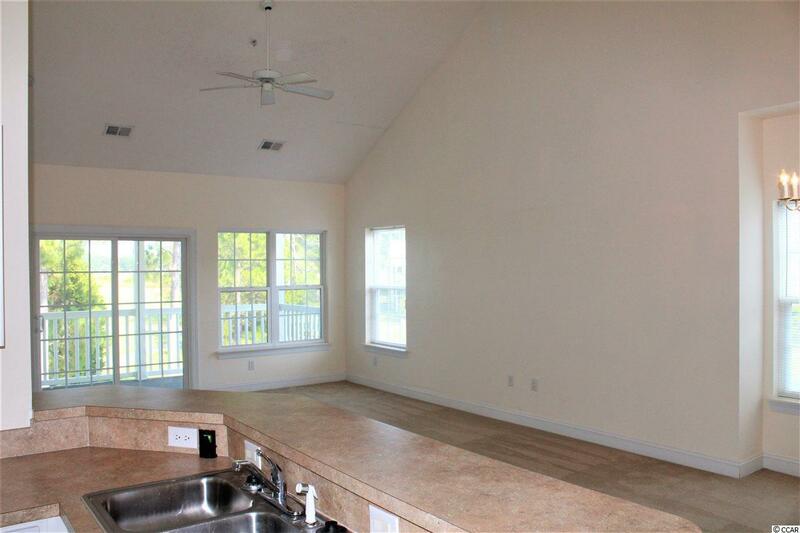 Spacious and bright end unit located in the golf course community of Windsor Green. 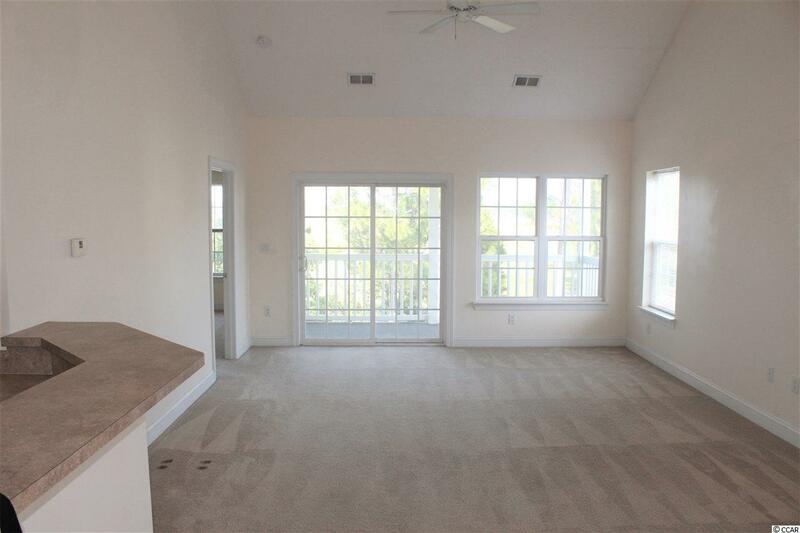 You must see the stunning 3rd floor views from the rear screened porch. If you're a golfer, the view overlooks the turn between the 11th green and 12th tee box of the par 3 at the Wizard Golf Links. If you are a nature enthusiast, the pond out back or the evening sunsets may be more your speed, either way this property has a view for anyone to enjoy. Built in 2006, Building 6000 is tucked away in the back cul-de-sac of the development, providing peace and quiet as you won't have all the traffic entering and exiting from the front of the neighborhood. 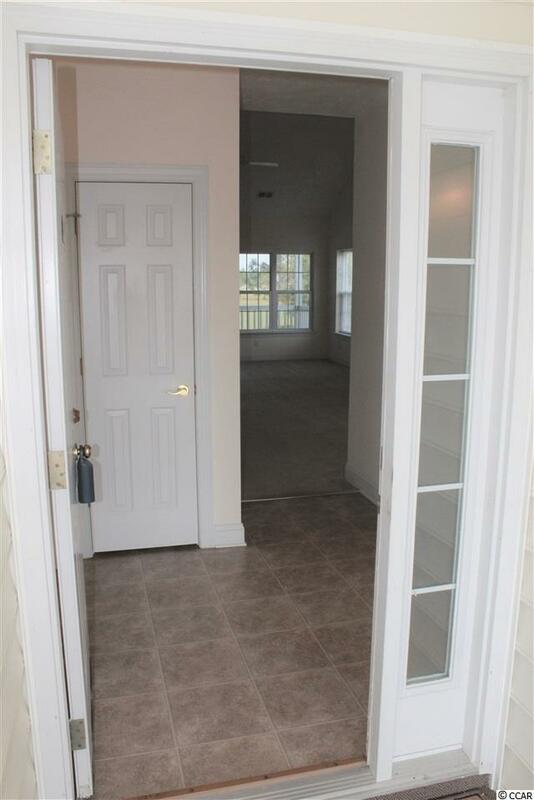 Located on third floor, as you enter the unit you will be welcomed by a cozy foyer with bedrooms 1 and 2 to your left and right sharing a roomy guest bathroom. Through the foyer you are greeted by a large living/dining room combo with tall vaulted ceilings and many extra windows because of the end unit location, allowing natural light to pour in. In the kitchen you have plenty of counter space and cabinets to prepare any meal you please while maintaining the open view. Towards the back of the home we have the master bedroom and screened in porch. The large master bedroom features a walk in closet plus a linen closet and attached bathroom. Other features include: New Air Handler installed in 2014, exterior storage closet, on site pool and restrooms, plus much more. More privacy by only sharing one wall as and end unit and being on the top floor means no noise from anyone stomping around above your unit! Great for primary residence, secondary residence, or investment opportunity. 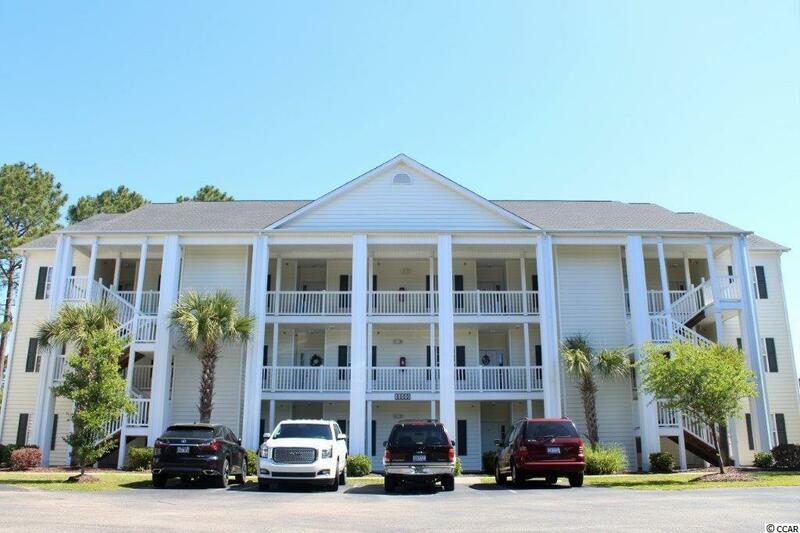 Close to schools, shopping, dining, entertainment, and less than 9 miles to the beach! Square footage is approximate and not guaranteed. Buyer is responsible for verification.